We supply an inexpensive range of pharma equipments and pharma Machinery at competitive price in Himachal Pradesh especially in Baddi. 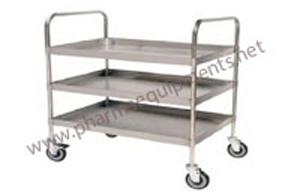 Our pharma equipments such as SS Weight Box Trolley, Clean room Furniture, S.S. Sheet metal and fabricators, SS Cross over Bench, SS Sink Units, SS Ladder, SS Bucket, SS Funnel etc. are highly preferred in the market of Himachal Pradesh due to their noticeable features. 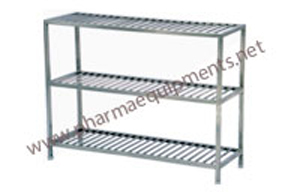 We offer our pharmaceutical machineries in major areas of Baddi such Nalka, Majru, Dhana, Karuni, Manpura, Tahliwala, Sanerh, Jati Majra, Jangal Plahwala, Banbir Pur, Rautan Wala, Shahpur, Theda, Kashambhowal Kanaitan, Beli khol, Mank Pur, Chanal Majra and many more. 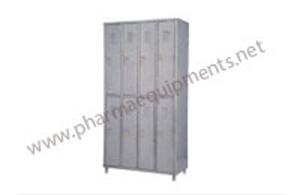 We also manufacturer diverse gamut of pharmaceutical equipments that are used in various division of pharmaceutical company like Packing Division, Quality control Division, Sterile and Injectable Division, Tablet and Powder Division at market leading price. Dagon Pharmaceuticals PVt, Maiden Pharmaceuticals, Glenmark Pharmaceuticals Limited, Morepen Laboratories, Panacea Biotec, Cipla Limited are few names of our precious clients that located in various area of Baddi such as Kishan Pura, Guri Majra, Akanwali, Makhnu, Bhud, Thana, Kuruwana, Lehi, Kalyanpur, Katha, Gularwala, Bilawali Labana, Bagbania, Haripur Sandoli, Baddi Sitapur, Malgan, Kotla and Karuwana.